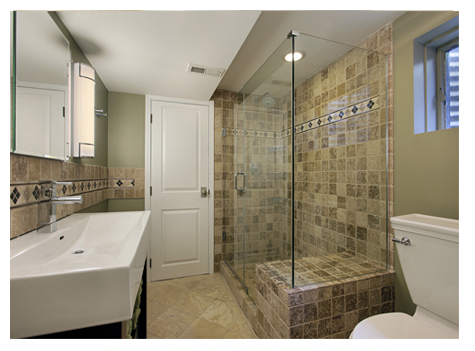 Up to half of water consumed in your home is used in the bathroom. Here are some easy ways to save hundreds of dollars - and gallons of water from going down the drain. Slow the flow. New toilets are equipped with water-saving, low-volume flushers. Have an older toilet? Save by filling a quart-sized plastic bottle with water and placing in tank. Flow should be reduced by 40%. Cool the water. If your water heater is set higher than 120degrees F., water is hotter than you need for showers or hand washing. For every 10 degrees you go down, you save up to 5%. Check for leaks. A leaky toilet can waste 250 gallons of water in a month. Test a leak by dropping some food coloring in the tank without flushing. If the color shows up in the bowl, you have a leak.